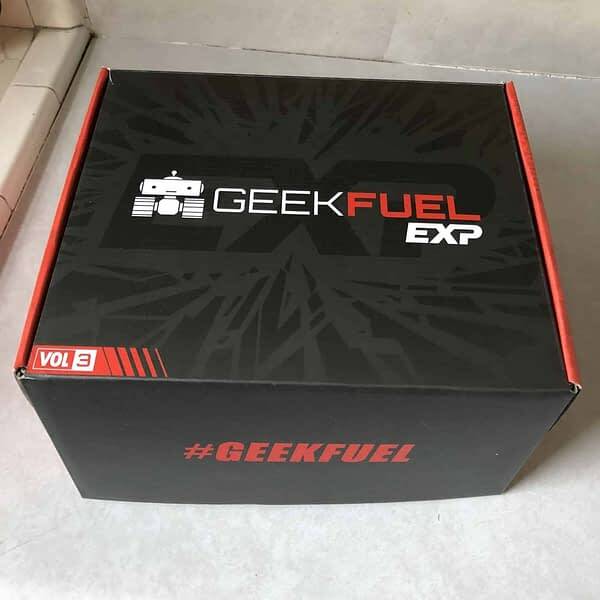 A couple of weeks ago we received a subscription box we’d been dying to get our hands on as Geek Fuel released their third EXP box. 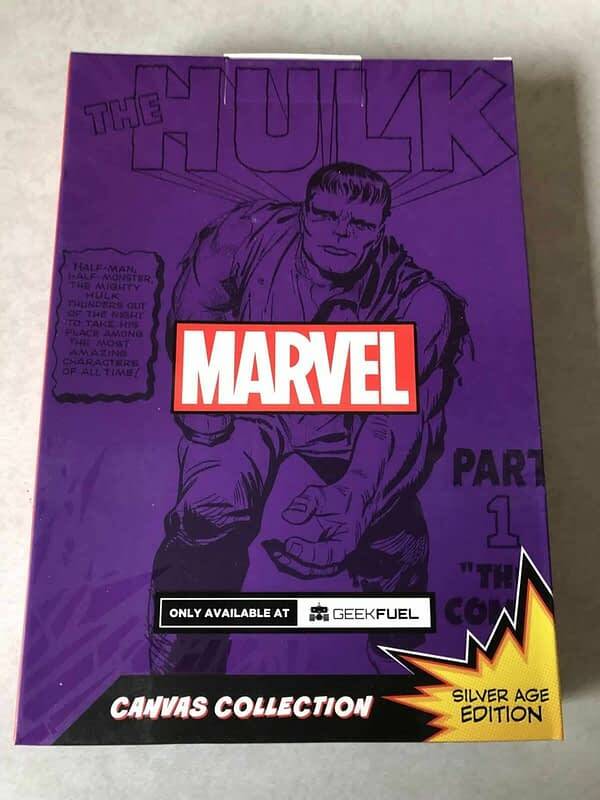 If you’re not already familiar with these, Geek Fuel changed the way they were doing subscription boxes a while ago and decided to make them bigger with much more awesome stuff, but slowed down how often they came out. That way every box became worth the wait with double the items. Let’s dive in and see what Volume 3 has to offer. 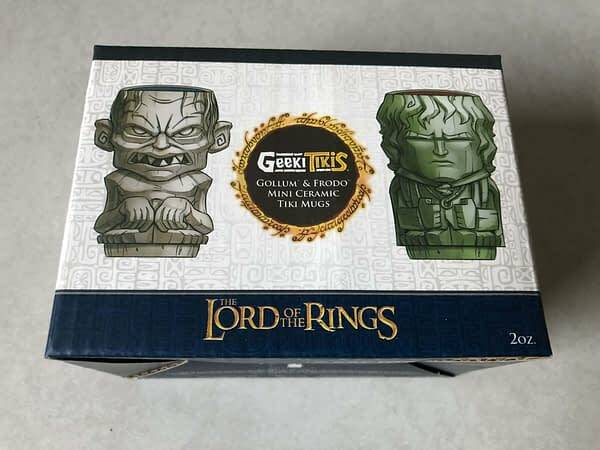 We’ll start off with some shot glasses that were really awesome to see from The Lord of the Rings. 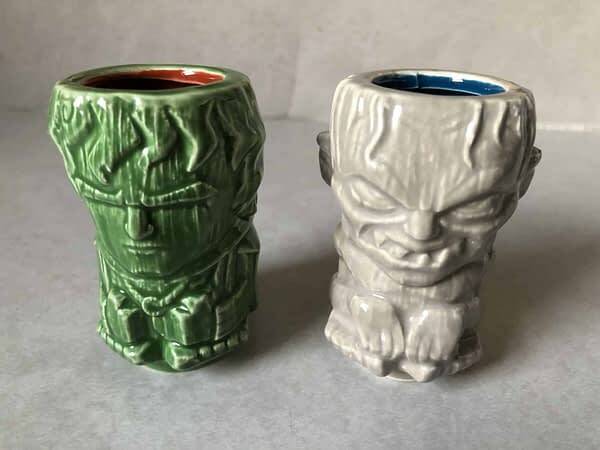 But not just any shot glasses, these are ceramic tiki mugs made to look like Gollum and Frodo Baggins. These are pretty freaky looking right off the bat. They’re well designed, but man, that tiki look will throw you off immediately. I enjoyed taking a couple shots out of these, they’re easy to wash and make for a great little talking piece while you’re drinking. Great way to get a conversation going about LOTH. I enjoyed them and it was nice to replace some generic shot glasses with these. 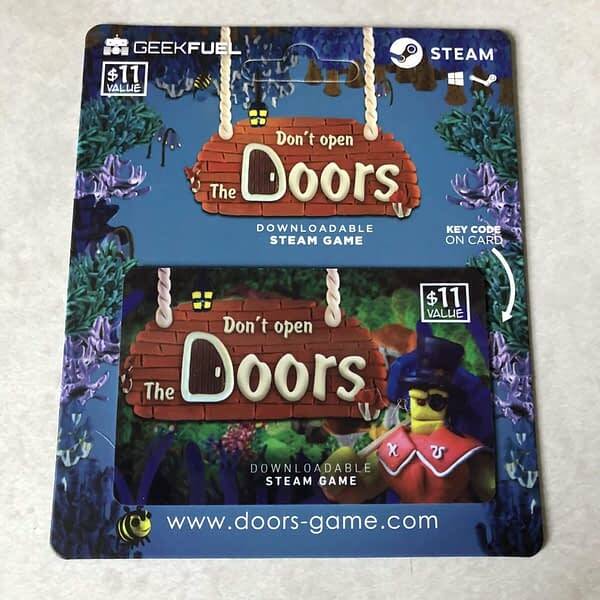 Next up is the video game that comes with every box, this time around it was a Steam code for Don’t Open The Doors. This is an interesting little claymation RPG game set on a 3D plane where you will solve puzzles and figure out what exactly is going on in this world. I liked it a lot, and it probably doesn’t get the praise it should, though I can see why it isn’t some people’s cup of tea. 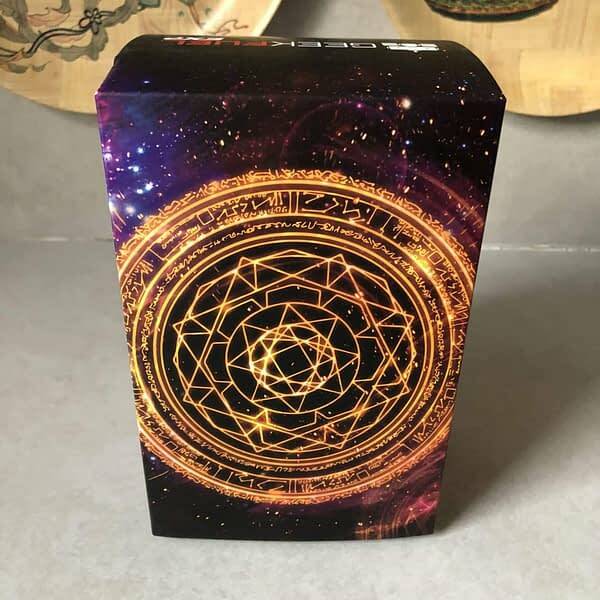 A pretty good game to come with the box if you ask me. 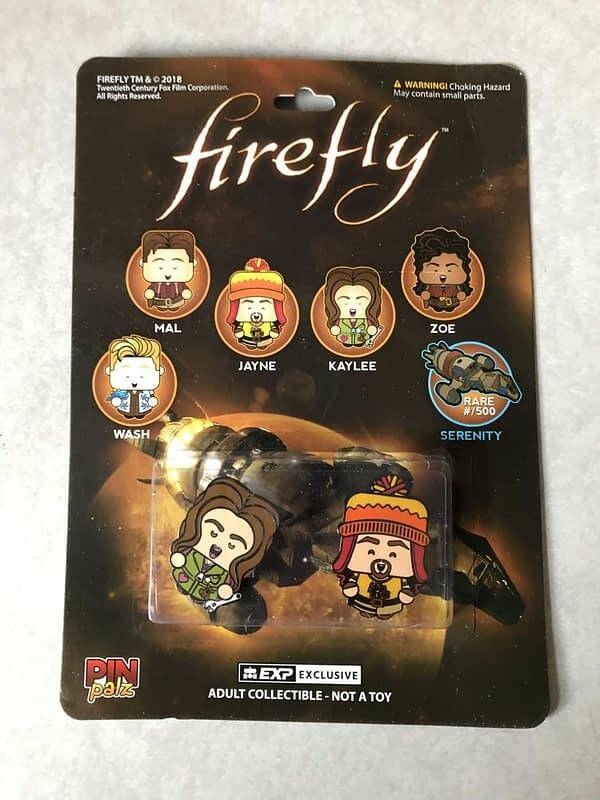 Moving onto to the pins for this box, we have a pair from Firefly! These are awesome as we got Jayne and Kaylee, two of my favorite characters from the series who I couldn’t be happier to own. The enamel on these is well done, and they have the rubber stoppers on the back which was a bonus in my eyes. I’m not much of a pin person, but this is a winner to me. 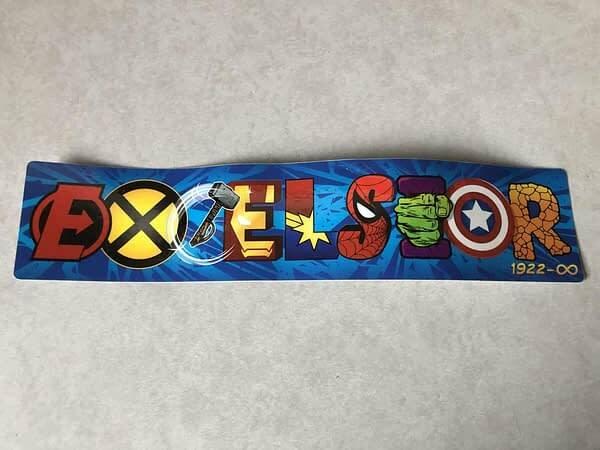 A small item in the box that wasn’t even mentioned in the set is this Marvel bumper sticker. 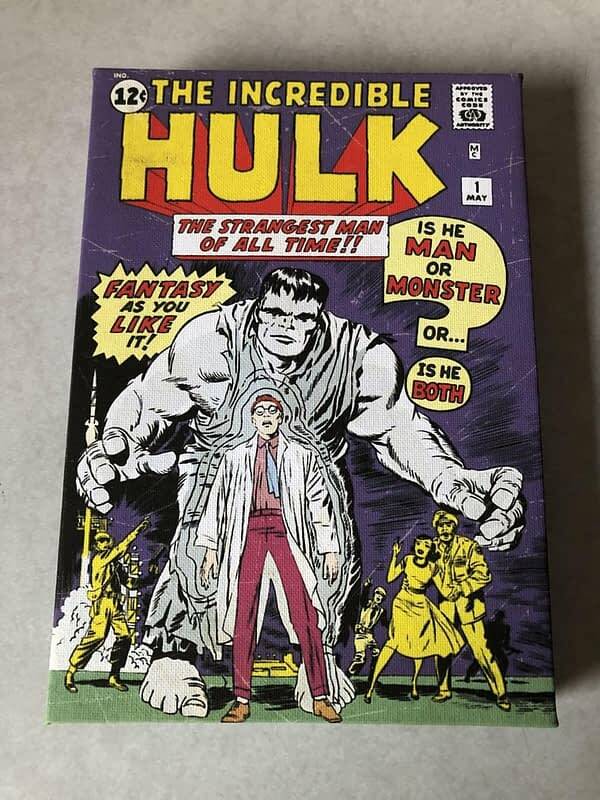 In the corner, you see 1922-Infinity, marking the passing of Stan Lee but symbolizing that his works will live forever. It’s a cool little addition to the set that got me to smile. 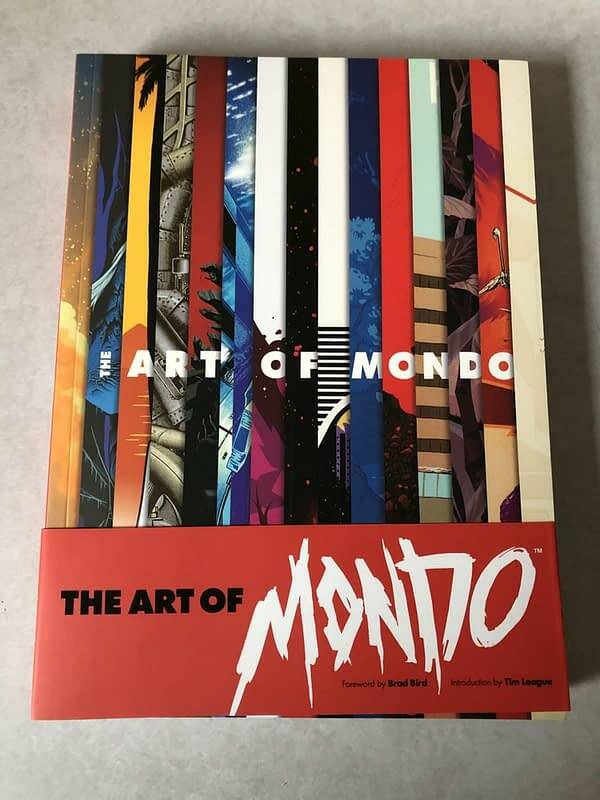 Next up we got a full book in this box as we received The Art Of Mondo. 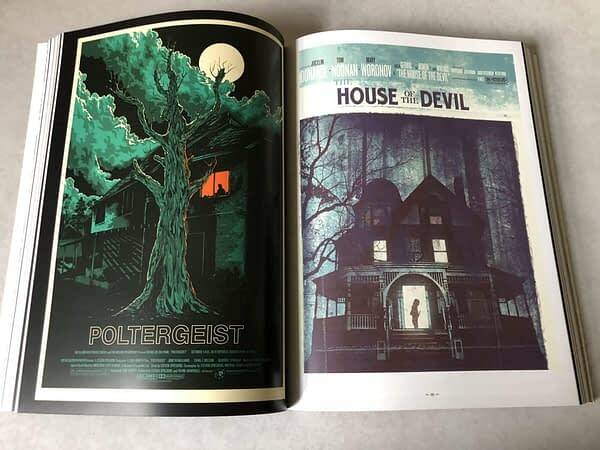 If you love what Mondo does with movie and TV posters, then this is a must-have as it explores the history of everything they’ve created over the years all for you to enjoy. There’s no explanation or documentary pages, it’s basically a large picture book for you to check out. But there is some awesome artwork in these pages that are well worth your time to check out. Another winner for us in this box. 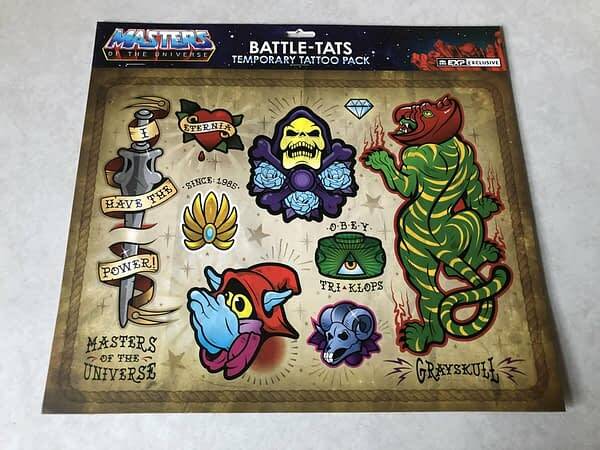 Next, we get to some He-Man goodies as we are first treated to Masters of the Universe temporary tattoos. 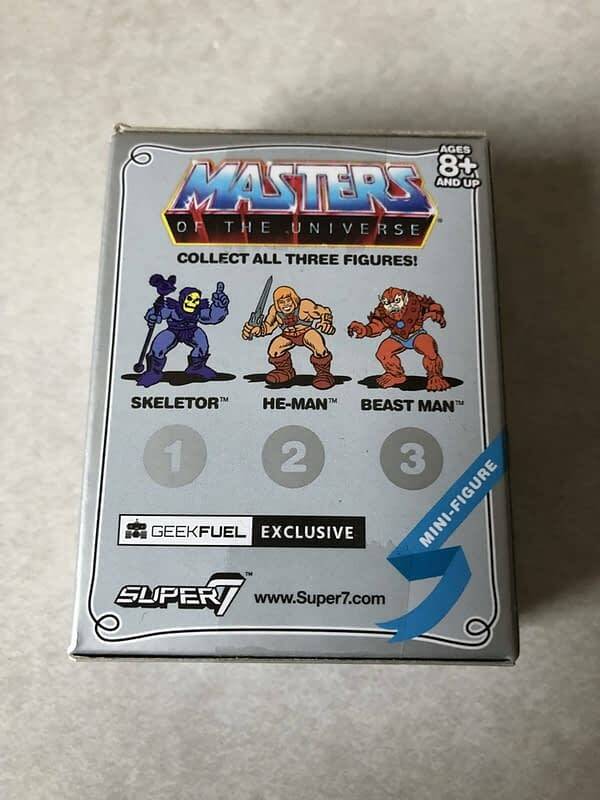 This is a nice little collection of stuff from the cartoon, and yes, we absolutely fell in love with that Skeletor design. They’re your basic rub-on tattoos that come off in a day or so, which was kind of disappointing as we were hoping they’d last longer. There are two sets of tattoos for you to go through in the pack, I recommend saving them for conventions. 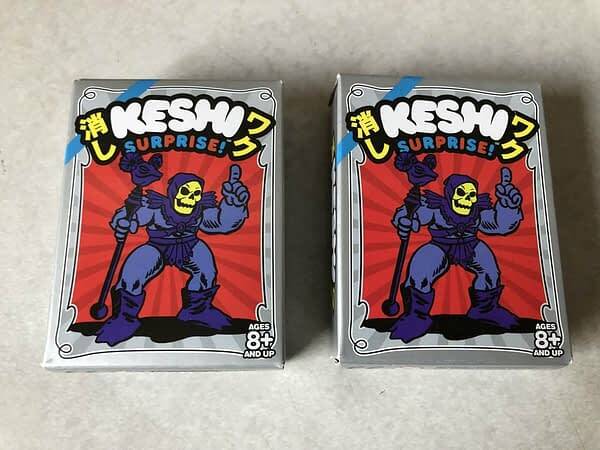 Next, you get some Keshi Surprise figures, the two we got were He-Man and BeastMan (with the third being Skeletor, which did not come with this set). 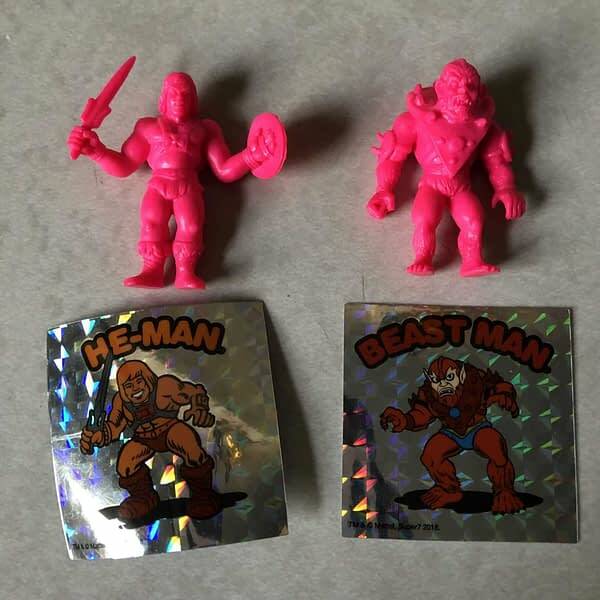 These are basically just pink figures you can stand up anywhere. 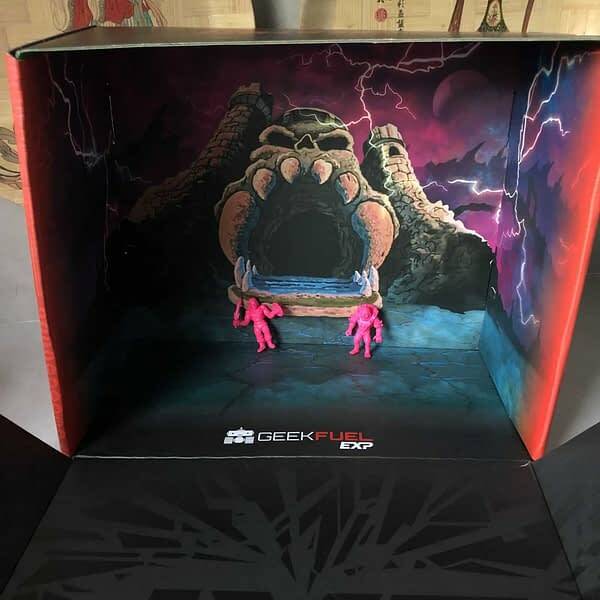 They both came with holographic stickers, and the Geek Fuel box itself is a small playset outside Greyskull for you to fight at. Finally, the make-or-break item of the box: the t-shirt. 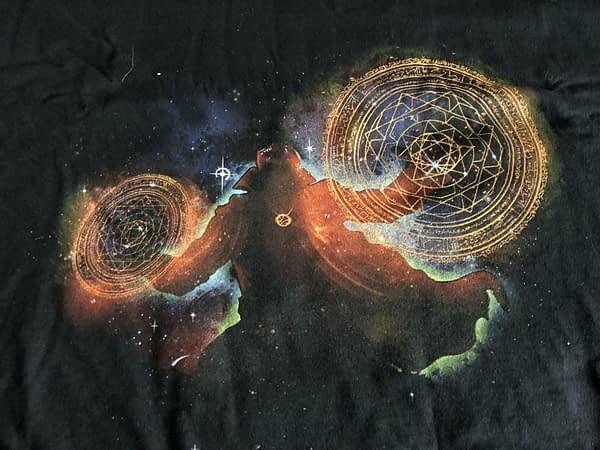 This one was awesome as we got a Doctor Strange shirt, showing off the Master of the Mystic Arts as a gaseous cloud in space holding up two sets of symbols for his spellcasting. 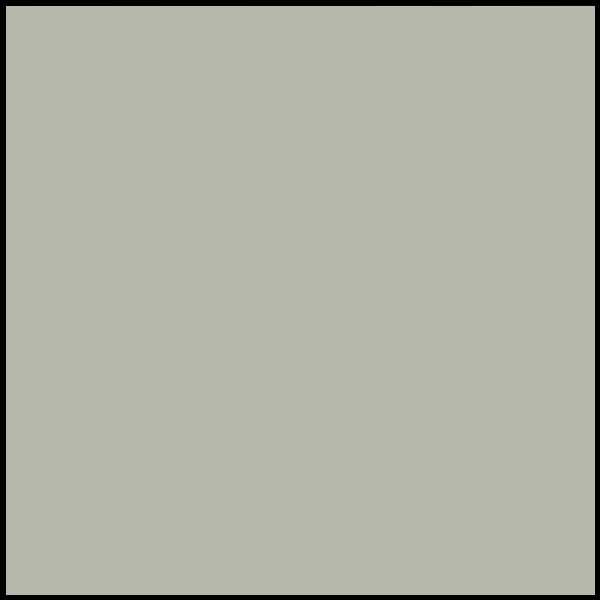 I love this design as it looks somewhat innocent at first to people who have no idea what they’re looking at, but then when you just stare at it, you get the full picture. I love this shirt and am happy to make it a part of my closet. 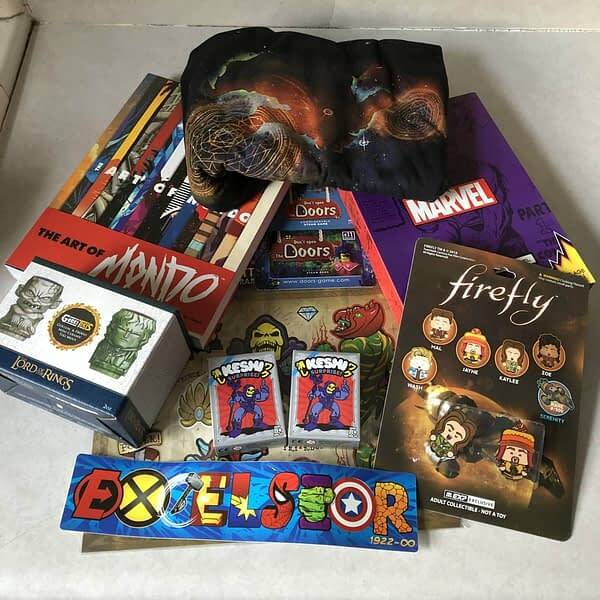 Overall, this was an amazing Geek Fuel box! I had very few complaints, and the ones I had were so minor they don’t really matter that much. Everything in here was a winner of some kind. 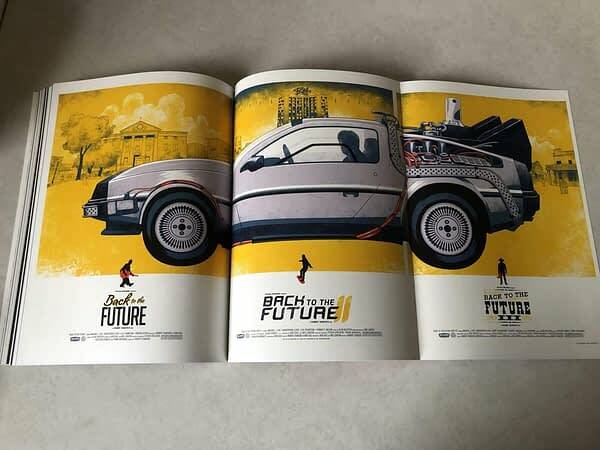 I look forward to seeing what Volume Four has in store!